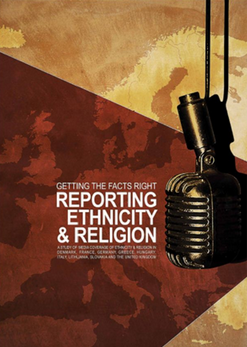 The Council of Europe produced several online resources for media professionals as part of their "Speak out against discrimination" campaign. The resources cover the issues of promoting minority access to the media, discrimination in sport, young journalists and media discrimination, as well as providing general practical exercises from different journalism training institutions which are easily adaptable and transferable in terms of context and duration. The idea behind these resources was to give the means to journalists to allow all groups to be part of media productions and thus to participate in the public and democratic debate. The Council of Europe’s three year campaign "Speak out against discrimination" targeted media industry professionals and was built around training media professionals, writing, seeing and hearing diversity in the media, and producing and disseminating innovative and inclusive information. 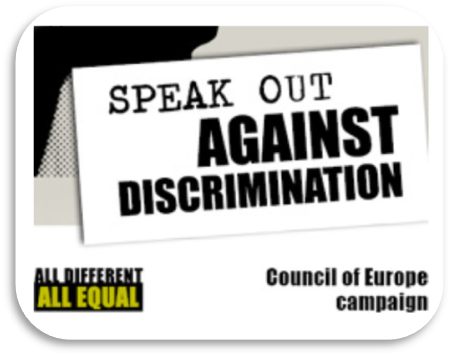 Click here to go to web space for Council of Europe’s “Speak out against discrimination" campaign”. Tell us about Diversity! Practical Approach for intercultural media content and its DVD.